When W.M. Carpenter bought his first home, he had a horrible home inspection experience. He saw a need in the industry for professionals with a background knowledge of home construction and proper customer service training. Possessing these qualities himself and eager to assist the public the best way he knew how, Carpenter became licensed and a Residential Home Inspector in South Carolina. 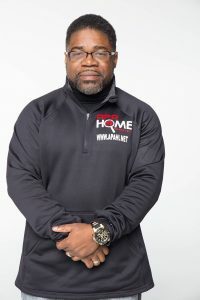 He is the proud owner and operator of APA Home Inspections, LLC, where he is passionate about helping his clients get into safe and sound homes with a full awareness of the details important to their purchase. Since 2014, he has completed over 1,000 inspection services for his community. 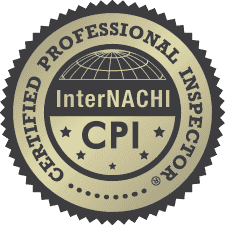 Along with being a licensed home inspector and a licensed residential specialty contractor, W.M. Carpenter is also a minister at his local church. He cares deeply for his community and giving back to the public in any way he can with the skills, knowledge, and passions he possesses. In his spare time, he enjoys reading and spending quality time with his family and friends. W.M. Carpenter received his license as a Residential Specialty Contractor 14 years ago. In the years since, he has developed an extensive and knowledgeable understanding of the home construction field. By knowing everything about homes from the ground up and understanding how a home is built, Carpenter is better than the average home inspector at explaining the details of a home to his clients in ways they can make sense of and put to use. He knows what can go wrong in a building and exactly where to find hidden details and defects that can often go overlooked, saving his clients valuable time and money after their purchase. Contact W.M. Carpenter at APA Home Inspections today to make an appointment with a home inspector who puts customer service first. Offering a discount of 10% off to military veterans.